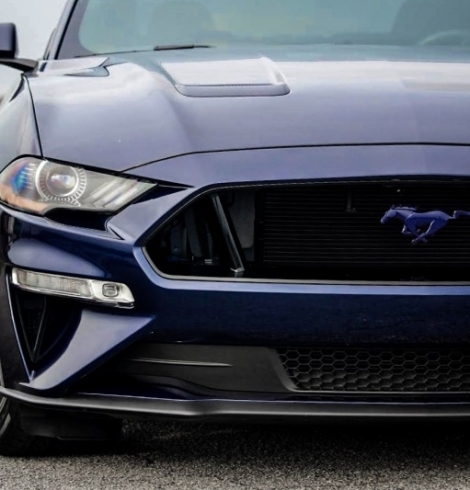 Earlier this year, we discovered that the next-generation 2015 Mustang is codenamed “S550.” Beyond the internal Ford designation, however, there is little that is publicly known about the platform that the S550 will ride on. Will it be an evolution of the S197 (D2C platform)? Will it be clean sheet redesign from the ground up? Will it share components and qualities with other Ford platforms such as the CD4 platform family? Join us in the discussion of the 2015 Mustang’s platform and let us know your thoughts, HERE and HERE. Poll: Would You Attend the 50th Birthday Celebrations Without the 2015 Mustang s550 Appearing? The 50th birthday celebrations for our beloved Mustang will be upon us in just a bit over 200 days. Many of our members will be attending, but we were curious whether you would still go if you knew that the birthday events would not see the 2015 Mustang (s550) making an appearance (poll). 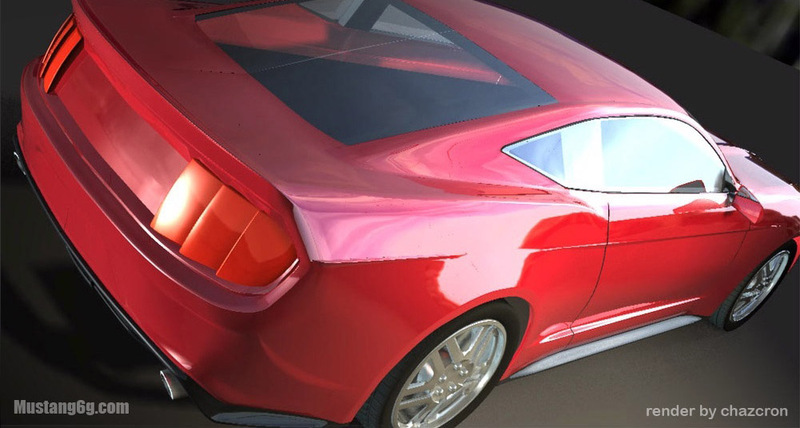 Check out the latest 2015 Mustang 3D render by Chazcron (hi-res inside). 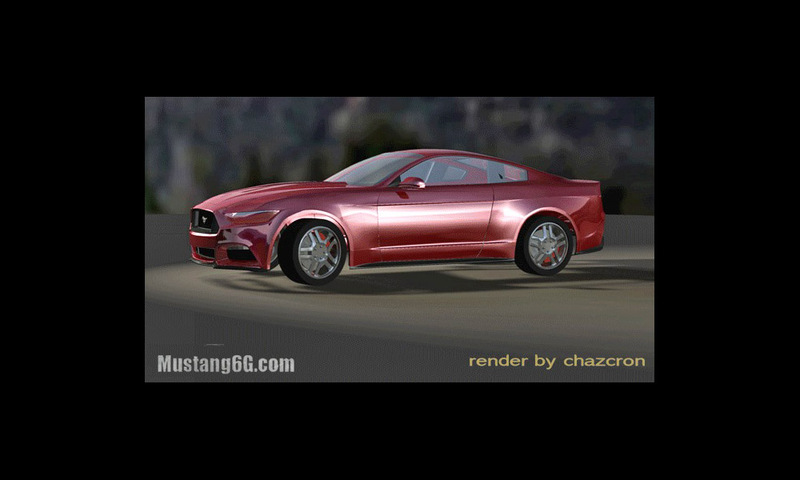 Our very own renderer extraordinaire chazcron has posted what is the best preview of the 2015 Mustang yet (see render). Not only is this a 3D render, but it’s a 360 degree rotating render giving us full views of the next gen Mustang all around. CLICK HERE FOR FULL SET OF PHOTOS! 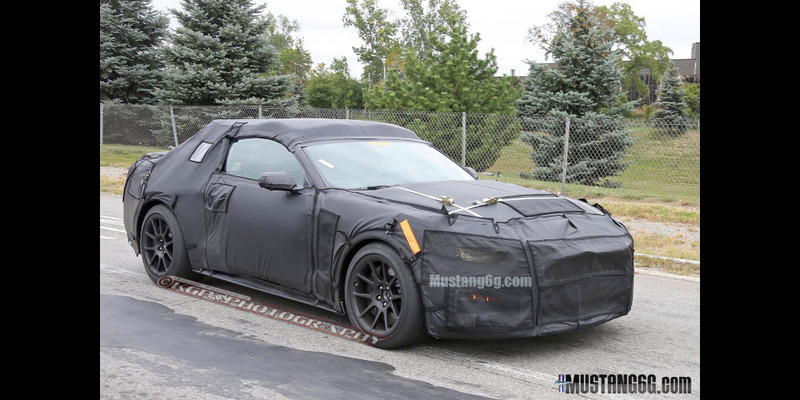 Here’s your first look at what is likely to be the 2015/16 GT350/GT500 Mustang! While all prior Mustang prototypes have been visiting several laboratories around Dearborn, this prototype sporting a quad-exhaust setup was entering the gates of the SVT workshops. There are some key differences visible on this prototype. In addition to the quad-exhaust setup (which gave a fantastic rumble), this Mustang gets revised camouflage to accommodate new, functional air-scoops visible on the GT350 prototypes. A mesh panel has been added to the GT350’s hood, and we can see an air-duct tucked underneath the camouflage. Another vent can be seen behind the mesh camo just behind the front wheel. 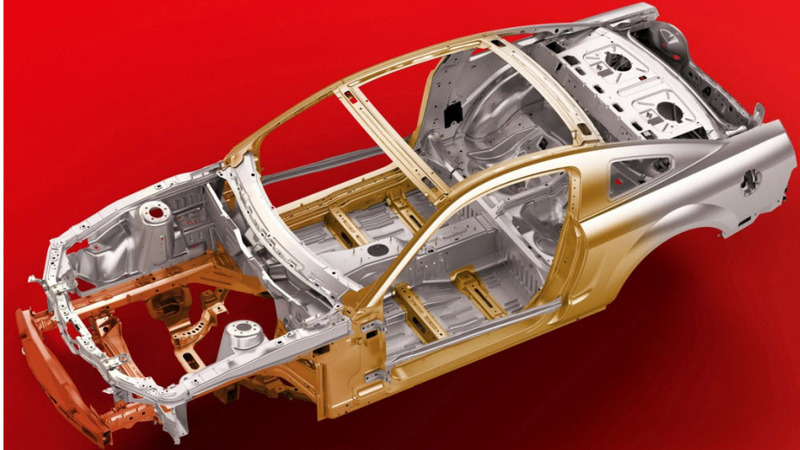 The fact that the usual Mustang camouflage has been altered in favor of new breathable mesh panels indicates the new ducts and scoops are fully-functional, performance-enhancing features–just what one would expect from a car designed to top the Mustang model range. 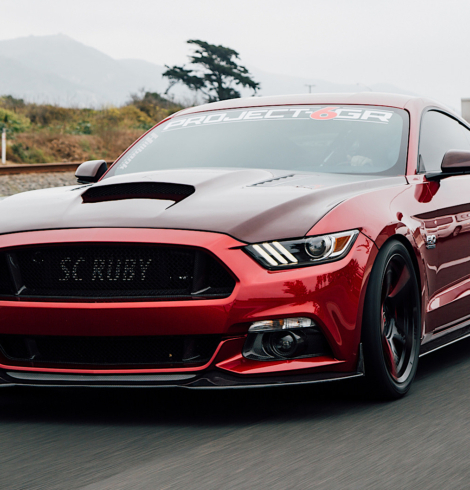 The prototype also has a new set of meaty new wheels and tires, which cover upgraded brakes and cross-drilled rotors–another sign that this Mustang is ready for track duty. We also have a close-up of the Mustang’s new steering wheel which sports a taped up pony emblem and comes with a range of buttons to operate the more advanced infotainment options that are expected to be a part of the new Mustangs. Two instrument clusters can also be seen behind the mesh. It is widely anticipated that the 2015 Mustang will get a new independent rear suspension when it is introduced next year. However, little is known about what type of IRS will be implemented into the S550 Mustang. New speculation suggests that the new IRS could be similar to the integral link design found in other Ford vehicles. Based on existing spy photos of the S550’s undercarriage, it certainly looks to be a plausible theory. Check inside for a in-depth discussion, HERE. 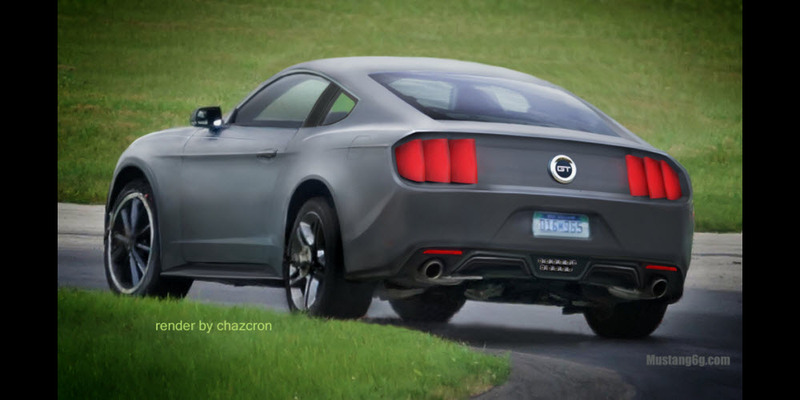 Have a gander at this new rear-view render of the 2015 Mustang (S550), thanks to the incredible work of chazcron. Based on information from numerous sources we believe this is the most accurate depiction of the next Mustang’s rear end to date. From the fastback roof line to the connected rear quarter-window and louvered taillights, we are getting closer to imaging the remaining unknown portions of the camouflaged S550 prototypes. Jump inside and let us know what you think, HERE. Watch this video taken by one very excited Mustang fan (Amy V6) who spotted the 2015 Mustang prototype driving near Dearborn, MI. While the prototype remains heavily camouflaged, we again get to hear the deep rumble coming from the next-generation Mustang’s exhaust. Shout out to Amy who gave a big thumbs up to the Ford test driver! 2015 Mustang Production Pushed To July 2014? Information from multiple sources indicate that production of the 2015 Mustang will not begin until July 2014 with deliveries being pushed to late August or early September 2014. The much rumored 2014.5 Anniversary Edition would likely be available by or before July for those lucky enough to own one. 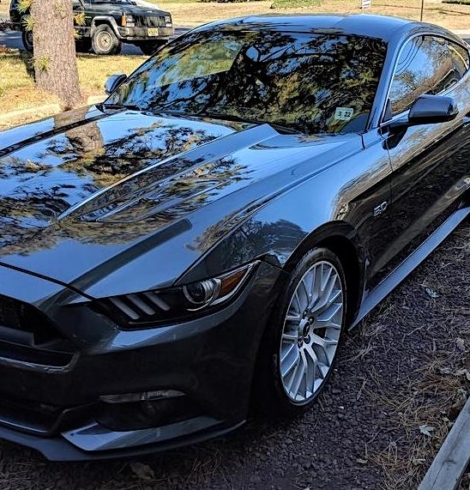 It is expected by many that the 2015 Mustang order banks will open on or shortly after the Mustang’s 50th birthday, April 17, 2014, with scheduling to start sometime in June 2014.